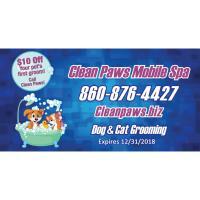 Save $10 off your pet's first grooming. We bring our spa to you! State-of-the-art custom mobile grooming spa. Dog and Cat Mobile Grooming. Mobile Grooming Spa--we come to you!